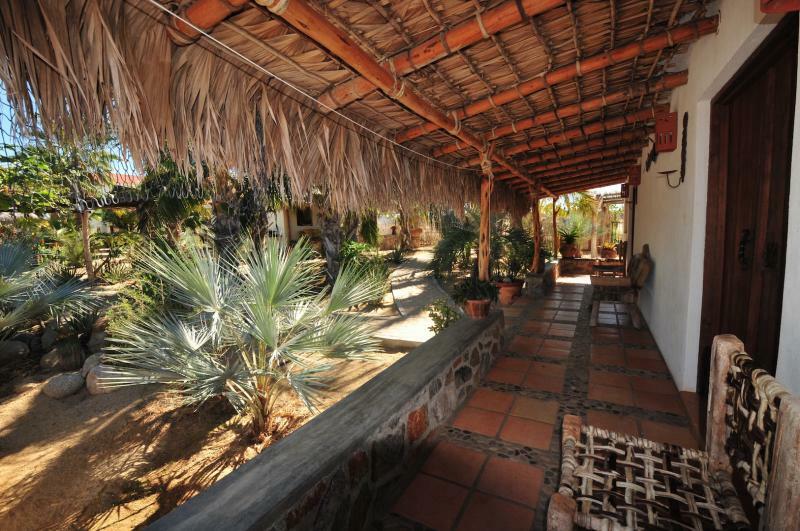 Casa Rancho welcomes you to sunny Baja California and the charming town of Todos Santos. Our Mexican ranch style compound offers economical options for all budgets with authentic local architecture and gorgeous gardens surrounded by the beautiful and peaceful desert landscape. A sparkling swimming pool with sunset view deck rounds out the beautiful grounds. 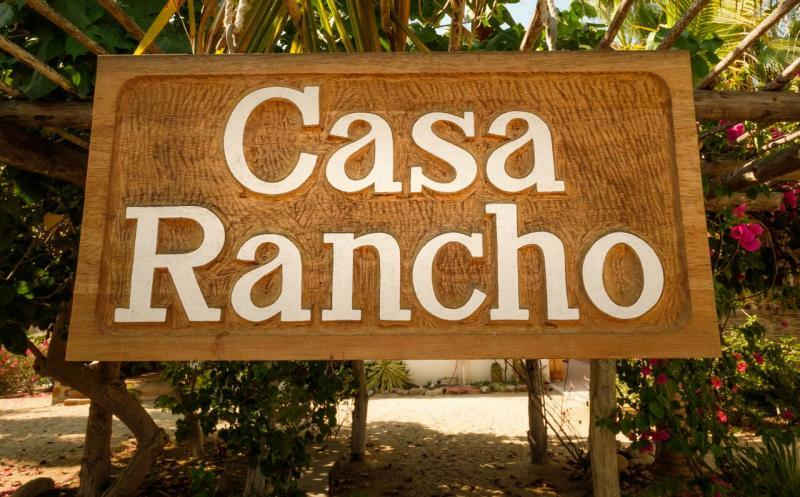 Choose between our spacious budget rooms in the main house with access to a comfortable kitchen and living area, or a private and cozy 1 bedroom, fully furnished cottage with its own full size kitchen and bathroom or finally, our unique 2 bedroom unit with private bathrooms and separate adobe kitchen/ dining room. All units offer their own privacy with extensive shaded outdoor areas, sparkling swimming pool,﻿ palm thatch patio covers, roof top deck for enjoying the sunset, gated parking and an on site manager available to answer any questions and get you to the best restaurants and activities the area has to offer.